$29.5 - Designer Tru Luv always excels in bringing beautiful styles from season to season. From cute outfits to dresses and vests, we are so excited to share the fall 2017 designs! 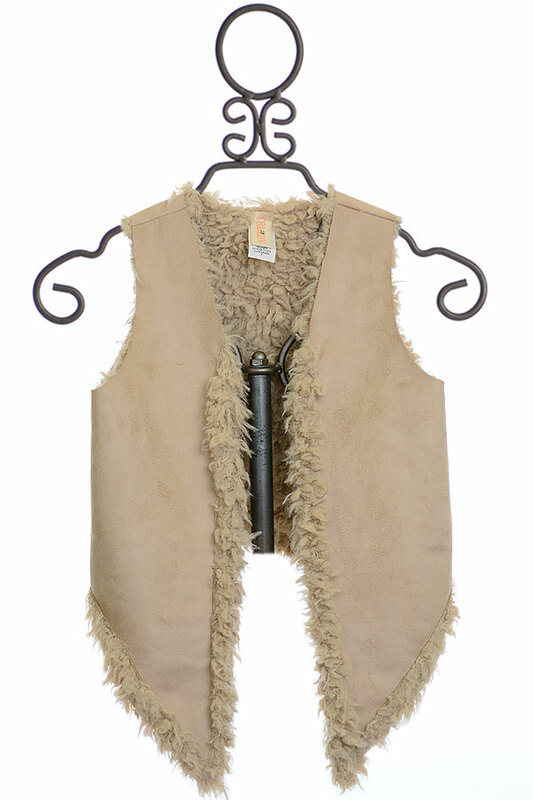 This ivory vest is a must have for her fall and winter school year. Add just a touch of warmth that is perfect for wearing while still in the classroom. The vest features a high hem at the back that angles down towards the front. The lining is a soft ivory faux fur that continues by peaking out at the edges. The smooth outer fabric is soft to the touch and contrasts the fur perfectly.